It was hot today — 90 degrees, the sun high and strong in the sky. To escape the heat of the afternoon, my husband and I took our kids to a small water park. This one has a green frog with big pink eyes and water squirting from its mouth, a red and white mushroom with a watery canopy, and a huge bucket, poised and ready to dump gallons of water on the small faces, filled with pure delight, hovering underneath in expectation. My baby girl, my second-born, arrived almost a year ago, and so, embarrassed about the squishy stomach I now have (and a body a server at a restaurant referred to as "big-boned" yesterday), I put on a skirt and tank top. That server's words — the words of another mother, no less — rang in my mind as I stood choosing what to wear this afternoon. 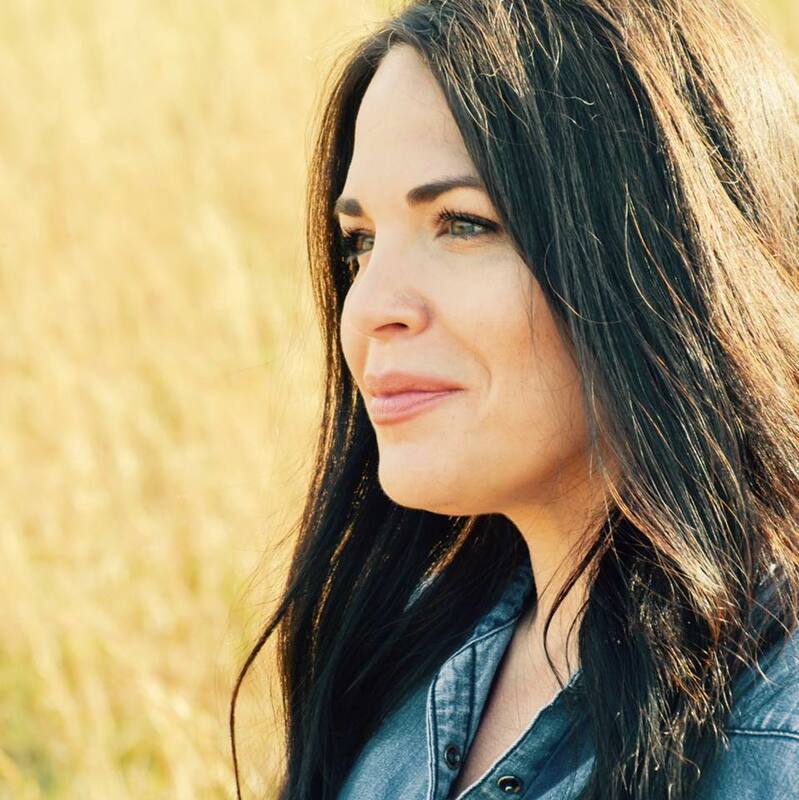 I'm a person trying not to be at war with her body, and I've been doing well, but her words were like a match, lighting a new fire of self-doubt — and I felt consumed by it. But I saw you there today at the water park. I saw you there, in your navy blue and turquoise bathing suit, with your small boys, running and playing with them. I saw you stand under that giant bucket of water with them. I saw you play in the fountains of water, tossing your head in laughter. I saw you, not caring at all about what anyone thought. And I admired you and felt ashamed and stupid for being in my skirt and tank top, sitting on the sidelines, while my husband played with our kids. 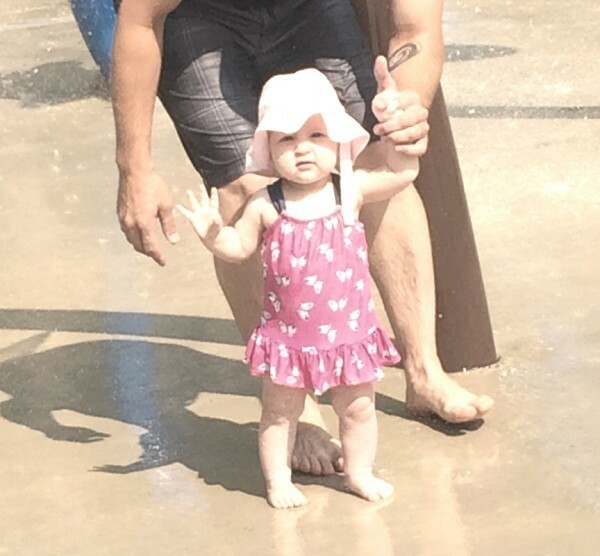 My husband had even come to tell me that I should hear my small daughter squealing as she played in the water. And so I ran into the water sprinklers. I played with my kids. I soaked my skirt and laughed at how silly I was for not wearing my bathing suit — and I even said this to you. You smiled and said, "It's OK. I understand." And we shared a knowing look. The look women share when we really understand one another. And I felt at peace, for the moment, with my body. I wished, then and there, that I could put on my bikini and run with abandon alongside you in yours. I have a daughter. I teach English at an all-girls' school. And I want these girls of mine — daughter and students alike — to know that their bodies are the homes of their souls and the homes of their minds. For each, her body is simply a vessel for the woman she is. And my cellulite, my stretch marks — the signs that I'm a mother of two — are just outer marks on a body and a mind that have done some hard work. I vowed to myself, there in that kitschy water park, that I won't ever sit on the sidelines again. I won't deny a pool date because I don't want to wear my bathing suit. I won't skip the ice cream with my son when he begs me to eat one with him. I won't enter calories on my phone. I will wear my bathing suit. And I will do it and remember you, the mom at the water park today — and the role model I must be for all my girls. As I vowed this to myself, holding a tired baby while my husband and son stood under that bucket of water one more time, I saw a small, purple butterfly. I pointed her out to my daughter, and we watched her flutter through the concrete jungle of the water park. Butterflies are a symbol of a change of consciousness and a new beginning. How fitting on a day when I vow to wear my bathing suit with pride. And how fitting that my daughter's bathing suit has butterflies on it, too. Parts of this were excerpted from "A Letter for Every Mother" by Kara Lawler and Regan Long. 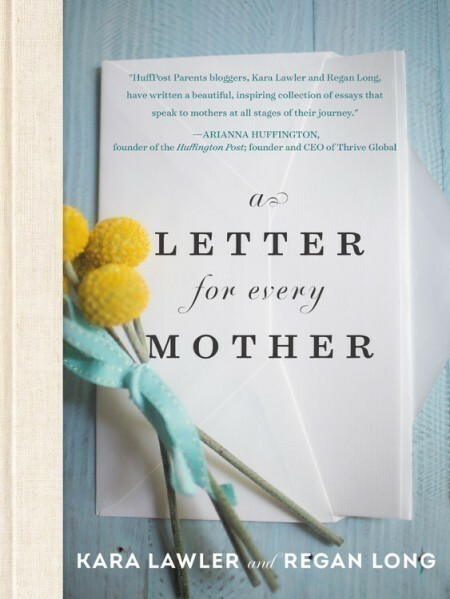 (Copyright 2018) Used with permission from Center Street, a division of Hachette Book Group, Inc.
Be sure to check out the new book "A Letter for Every Mother" by Kara Lawler and Regan Long.